This patients developed paraparesis in lower legs after placement of aortic stentgraft in an aortic aneurysm. The procedure was performed in spinal anesthesia. 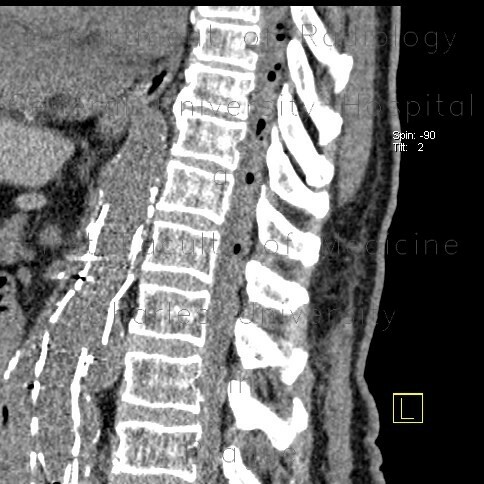 CT of the lumbar spine shows multiple bubbles in the spinal canal. We can only hypothesize, whether they come from the epidural catheter or whether they are a sequel of the interventional angiographic procedure.